Are any of the Churchill tanks actually playable? It's often up to people's play style. To an extent, whatever tank you find most fun/most effective under your playstyle is the best tank for you. I mean people tell me arty is OP, arty is a noob tank, only cheap noobs play arty, etc. In fact I generally dislike playing arty and make very few credits with my SPGs. I find it incredibly frustrating for a few rare moments of reward. Odd, I guess. That said there are some objective problems with the Churchills. What they are is disagreed upon, but there are problems. If you like the series, all well and good, you've found ways to work around the problems and take advantage of the benefits! As the title says. Historically the Churchill was considered one of the better heavy tanks, but in-game they are just short of unplayable for the most part, and the Churchill I in particular is basically a handicap for your entire team even when fully upgraded. What gives, and what can one do to at least somehow make them work? IT was a successful tank at what it was assigned to do; support infantry. I have not found a lot of tank to tank action involving the Churchill. It was successful in Tunisia against PZ III and IV tanks. I really like the tank in the game EXCEPT that the Churchill I is unganly looking wih the hull howitzer that does not funciton AND was removed from the actual Churchill's early on. Sad that the best Churchill is the Churchill III in the SOVIET line. Periodically you will see a Churchill III with a British or Candain flag on the side to help us remember that it was first and foremost a British tank. 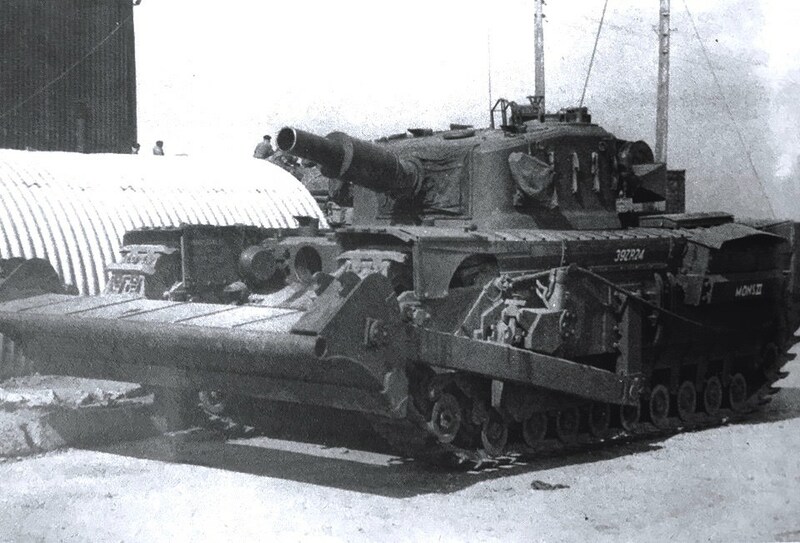 well there is the heavy valiant meme tank or they can go with the churchil AVRE that actualy existed be either the 290mm spigot vertion or the 300mm ardeer aggie or the 165mm L9 becouse you know WG loves adding guns on tanks that never used them or were drawings at best but wont give guns that actualy existed. The Churchill was not made with the same design philosophy as the Tiger or the KV tanks. Those were designed with killing other tanks as a primary mission. 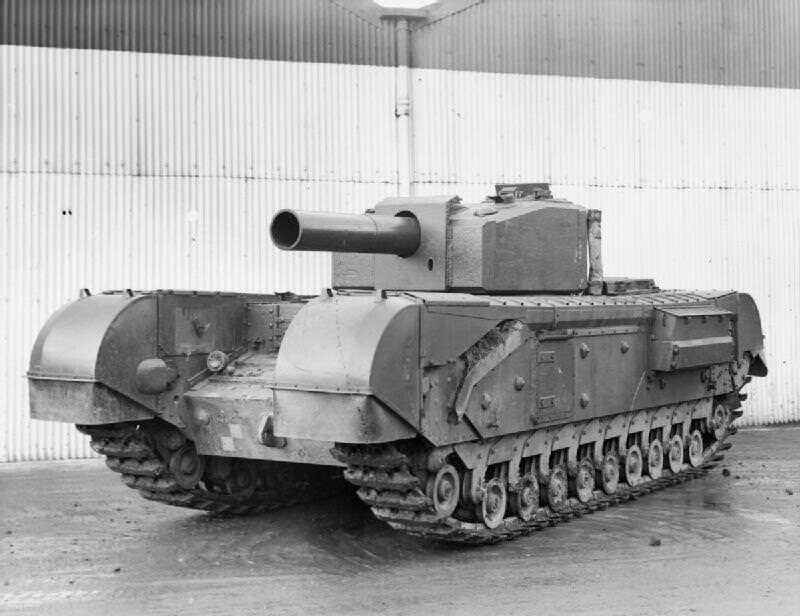 The Churchill was designed as infantry support, not for fighting other tanks. Finally unlocked Caernarvon this morning. Phew that was a dreadful grind. I can deal with the crappy everything of CH/BP but what I absolutely loathed was the speed. 3 entire tiers of slow-mo. High percentage of matches I would die by arty half way to engagement and if I managed to get there (which means we are winning lol), most of the enemy is dead and I have to scrap to get a couple shots in. Super frustrating!! With full upgrades it's a little more forgiving but the speed is the real killer for CH/BP. It'll be more "playable" if nothing else, speed was bumped up 7-10 km/h. Only way to get xp is to use premium ammo. There's just no way around this. S. Conqueror better be worth all the suffering and hoping one day it'll lead to the Chieftain. Historically, one of the Churchill's outstanding features was it's ability to handle steep slopes. It should not loose as much speed going up hill and it should be capable of navigating steeper slopes than other tanks. It had the ability to handle steep slopes going down and up, as well as gaps/other obstacles. It could handle them. That doesn't mean it was quick to do so. Other tanks couldn't handle them at all, much less quickly. I've run the Churchill series up and especially down rough slopes that would be entirely impassable for other vehicles. Because WoT isn't fully a historical game but one with some arcade elements. Edited by mworthy, Apr 14 2019 - 00:35.